Shawn Kennedy at BC Waterbikes had to jump through some hoops, but persistence paid off and he earned Vancouver Board Approval to bring Hydrobikes to Vancouverites! Tami at Emerald Coast Hydrobikes in Santa Rosa Beach Florida has made a real name for herself renting Hydrobikes. 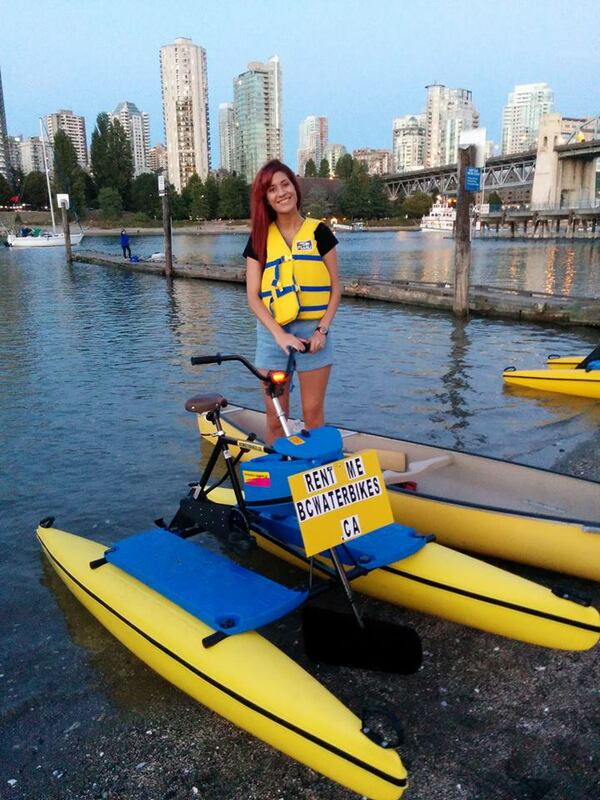 Her ‘Chicken and Waffles’ Hydrobike ride is very popular. Here is Tami on TV! 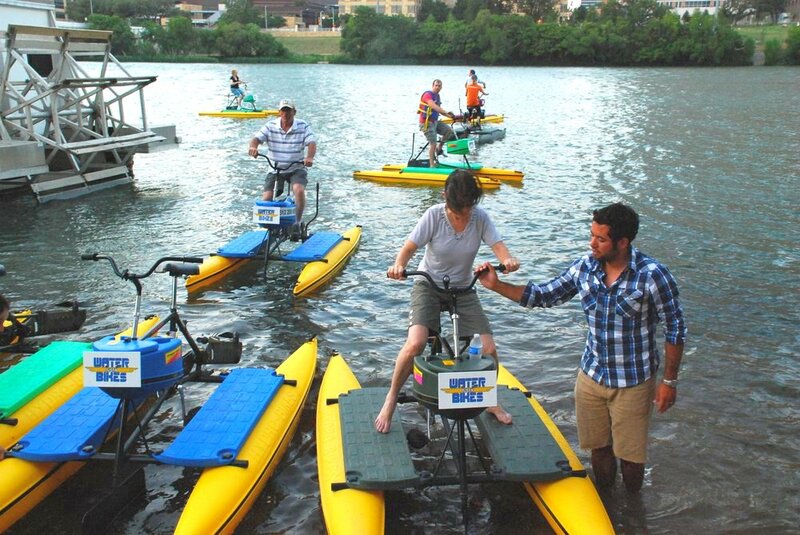 Austin Water Bikes below has a thriving business in beautiful downtown Austin TX. Visit Todd and Ramon at Austin Water Bikes. Check out their famous Bat Tour! Rental Business Insurance: We Have You Covered! Our national insurer has you covered, and I’ll supply you with personalized waiver forms too. Hooking up with Groupon can explode your business! You also receive 30 days of free consulting and ongoing support. Just add water and you’re ready to roll in an eco-friendly, fun, & highly profitable business that will turn heads and make news in your area! Everyone from 8-80 loves Hydrobikes! “We as you know are the only outside contractors here at Walt Disney World that operate a recreational rental business on property. Prior to the Hydro-Bikes arriving we had two Sea-Cycles on property available for guests to rent. The Sea-Cycles had a unique look and guests were very interested to try them but we found them not suitable to our standards and unable to maintain them. The problems being with the drive trains breaking down under high utilization and also being a non-sealed unit they would get water into them and rust on the sprocket systems. I will also make note that we had a guest step on the hollow float and fall thru the material. Along with the Sea-Cycles we had four Aqua-bikes that we also had an ongoing maintenance problem with the drive trains again not being sealed. Find a location and let your Hydrobikes do the rest for you. I can direct you to many successful operations and help you set up your own. 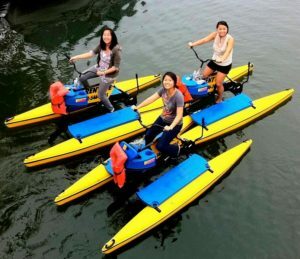 The unique appeal of Hydrobikes will have riders coming to you. Anyone with no special skill or ability is able to ride. This makes it a great activity for kids to grandparents, families, and couples. You’ll hit the ground running in your business with the help of my Hydrobike Rental Business Marketing Guide. ‘Profiting With Hydrobikes‘ offers a blueprint to proven successful revenue generating strategies with Hydrobike water bikes. Call John at 1-888-403-9012, or email john@hydrobikes.com with all your Hydrobike rental business questions. 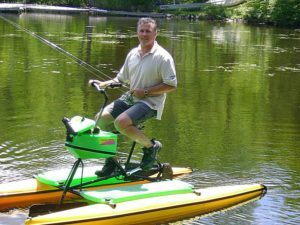 It would be my pleasure to assist you in getting started, and working with you to reach your goals and succeed with Hydrobikes.